Green shamrocks. Green rivers (not the CCR-kind). Even the Google Doodle is sporting a fetching shade of emerald today. It’s hard to avoid the greenness on Saint Patrick’s Day, a holiday given to us by Ireland and now celebrated in more countries than any other national festival (we’re sure that has nothing to do with the tradition of getting mind-numbingly fershnickered on March 17th). But before going green, "wetting the shamrock" or guzzling your dyed-green beverage of choice, take a moment to appreciate these eight unusual creatures that were born to celebrate this most green of holidays. Image © Karen N. Pelletreau et al. Personal hygiene is not really the three-toed sloth's strong suit. The animals are so grimy, in fact, that their pelts are often discoloured green with algae, and their hair harbours a unique and diverse microcosm of hitchhiking species, including pyralid moths. Disgusting, right? 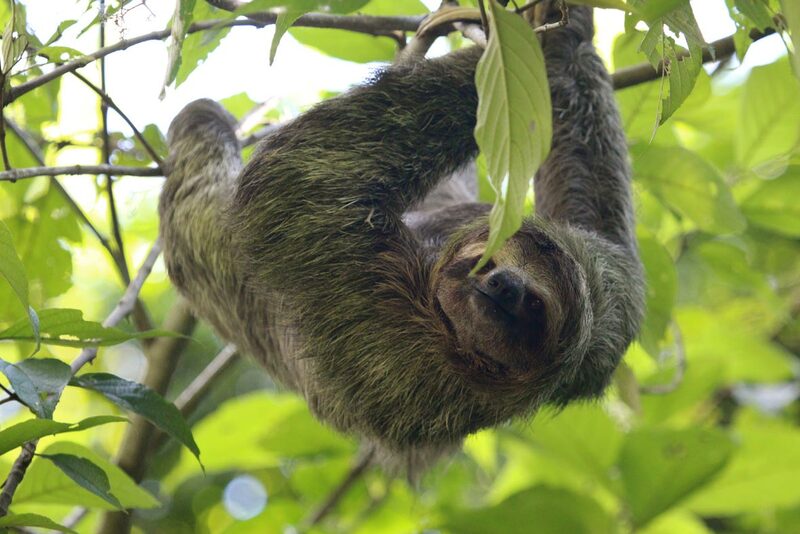 Well, it turns out maintaining a moth-ridden, algae-tinged hair garden is actually beneficial to the sloth. Researchers have found a unique relationship between moths, sloths and algae. The moths get a safe place to hang out and breed, the algae get a place to live and an influx of scarce essential nutrients, and the sloths get a boost of sugars and fats after eating the algae during their daily grooming. You’re unlikely to ever come across a single specimen of Symsagittifera roscoffensis. Aside from the fact that these tiny creatures are only a few millimetres long, mint sauce worms also like to stick together (in their millions! ), like a living, writhing mass of marine mint sauce. Much like the green sea slug, the vibrant colouration comes from algae in their bodies, and they harness the sun’s energy to provide them with the nutrients they need to survive. 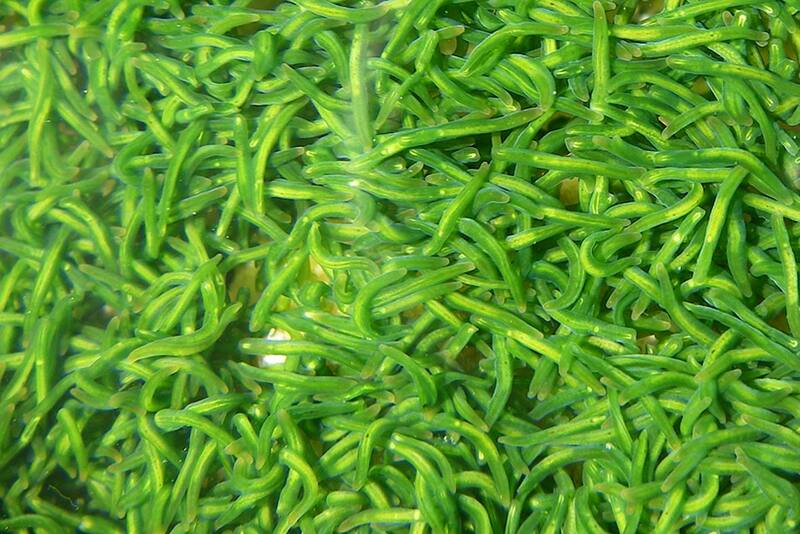 Some experts even suggest that the worms are "social sunbathers", gathering together in large "biofilms" bound by mucus so they can maximise their harnessing of the sun’s energy. 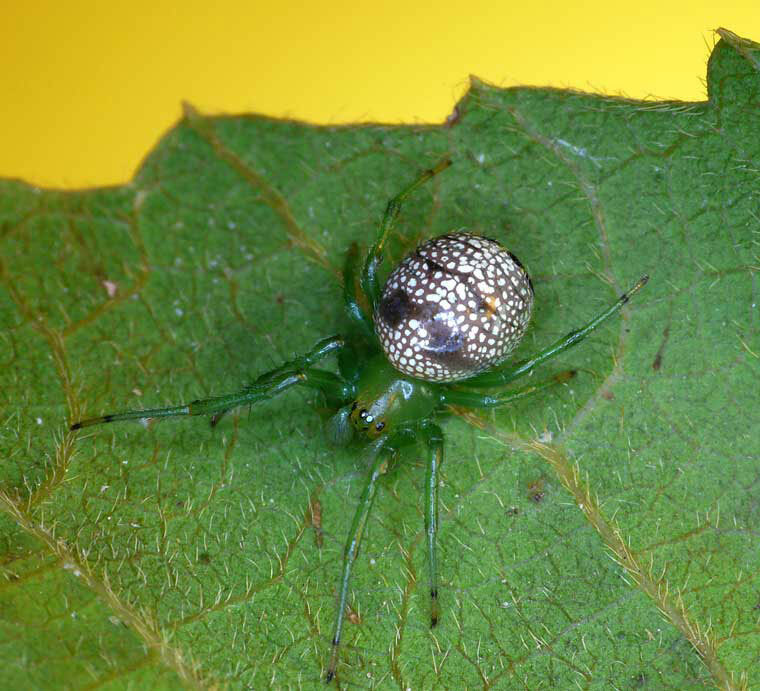 If Saint Patrick’s Day had a spider mascot, it would be the green orbweaver (Araneus praesignis). Native to Australia, these vibrant green arachnids sport some impressive fake eyes on their rumps that are thought to help throw off any would-be predators. Although they do spin conventional webs to trap their insect prey, green orbweavers hunt only at night. During the day, the eight-legged greenies spin a nesting web in the folds of twisted leaves, kind of like a spider "burrito". Yes, nudibranchs are some of the most crazy-colourful creatures you’re likely to lay eyes on. 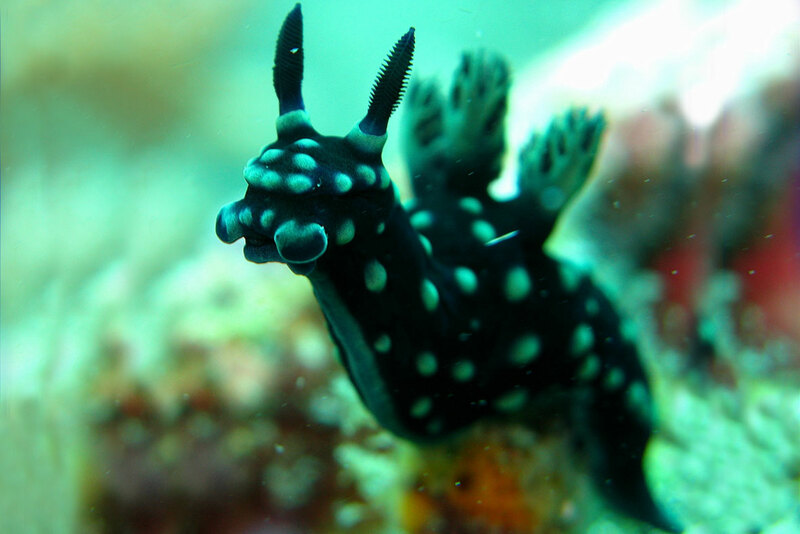 But the one that gets our St Patrick’s Day vote is Nembrotha cristata. Those black-and-green spots aren’t just for show – they’re also a warning to would-be predators. And there’s fire power to back up the warning: the extravagant sea slugs absorb stinging cells from the jellyfish they sometimes eat – which means any predators that get too close are in for a painful sting. In a bivalve world of black, grey and brown, one mussel dares to be different. 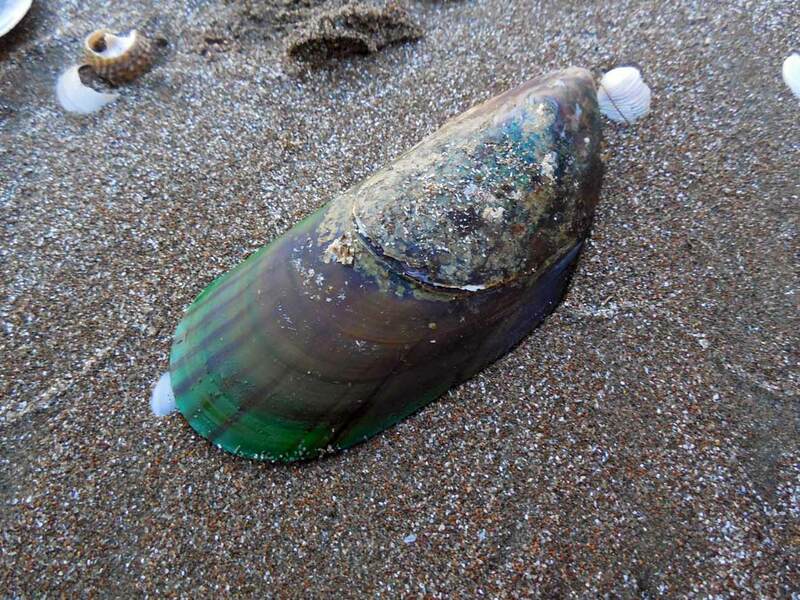 Native to New Zealand, the green-lipped mussel (Perna canaliculus) boasts a vibrant green shell. It’s also one of the largest of its kind – growing up to 240mm in length. But perhaps the most interesting thing about this green-shelled mollusc isn’t what on the outside: it’s the thumbnail-sized crustaceans lurking inside. The shells are the permanent home of New Zealand pea crabs, who spend most of their lives inside, stealing all the food they need from the mussels’ gills. The tiny squatters can be found in around 70% of natural mussel populations. 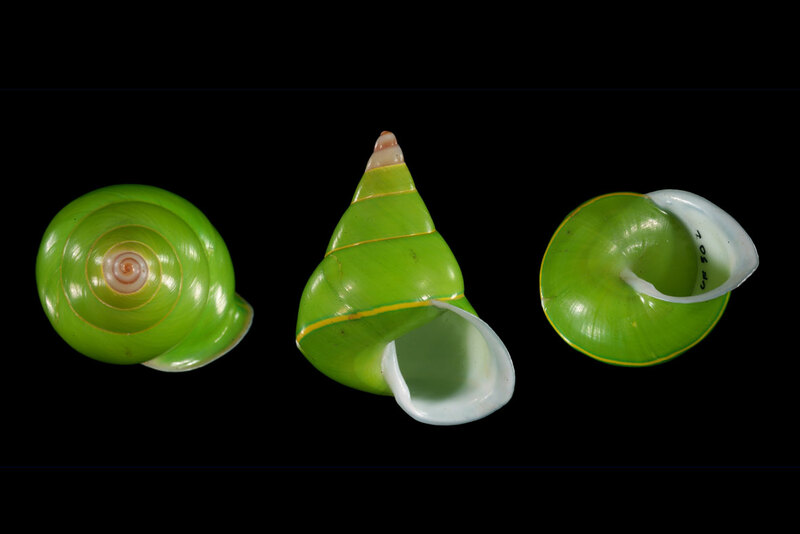 The Manus green tree snail (Papustyla pulcherrima) is found mainly on the island of – you guessed it – Manus, which lies to the north of Papua New Guinea. That conical, emerald-green shell, with its thin yellow stripe, has always been prized for its beauty – but it’s also been a bane for the species. Demand from collectors, and for use in jewellery and other adornments over the past century, caused snail populations to plummet, and the species was the first invertebrate to be listed under the US Endangered Species Act. 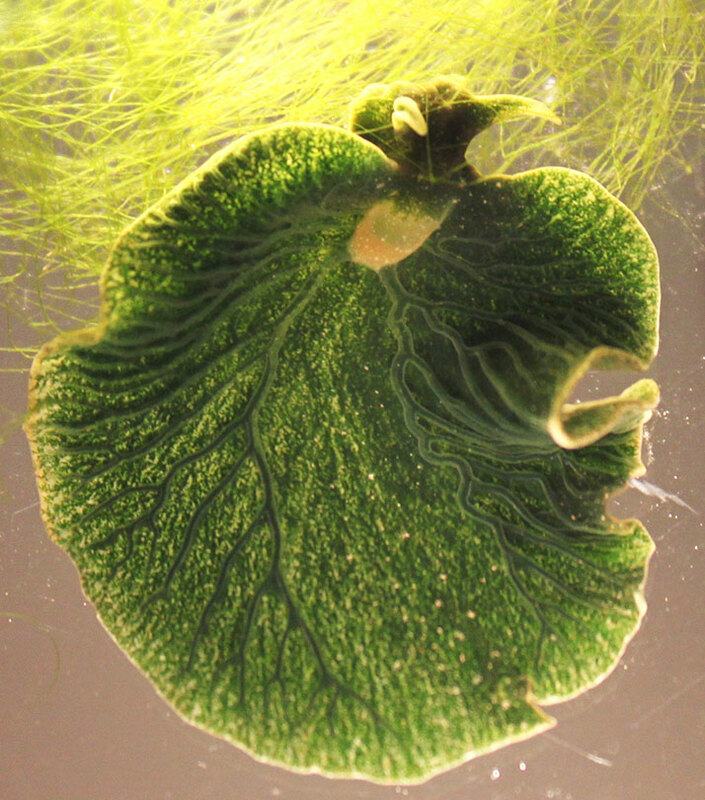 The electric green doesn’t actually permeate the entire shell – it’s found only in the outer protein layer. 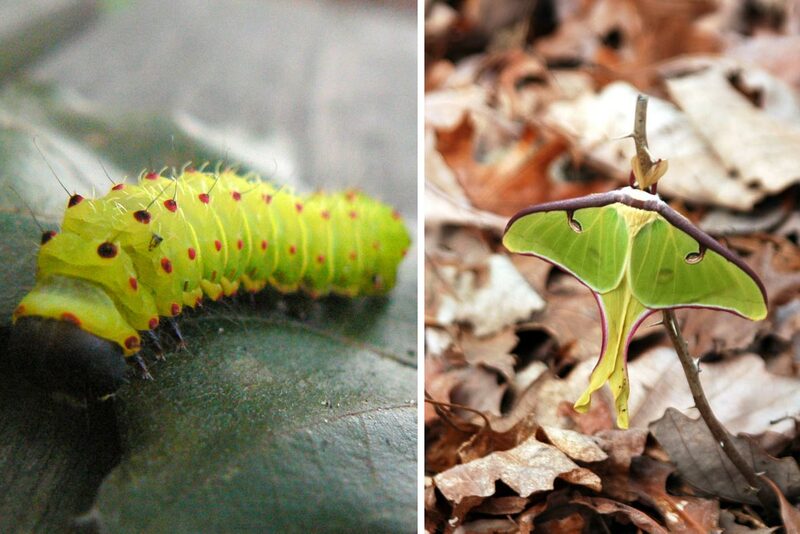 To finish off, we’ve got a double emerald treat for you: a bight green caterpillar that transforms into a lime-green moth. Actias luna larvae are at their most vibrant when they reach their fourth instar (the development stages between each moult). In typical moth larvae-style, the caterpillars spend much of their time munching on plant matter and swelling exponentially in size until they eventually spin a cocoon and emerge looking a little different. With a wingspan of 114 mm (4.5 in), Actias luna is one of the largest moths in North America. They live for just seven days, and during that time, they have only one thing on their minds: find a mate and keep the cycle going.